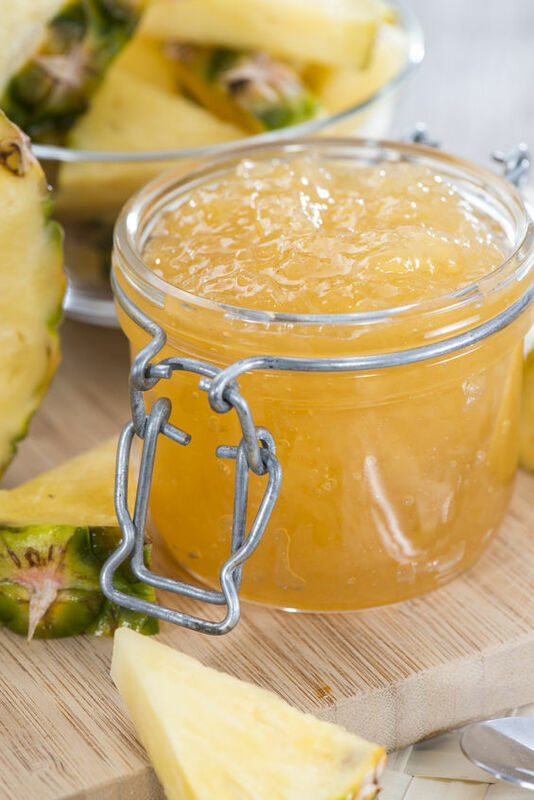 Make your own pineapple jam in just a few minutes with two ingredients you already have in your pantry. It’s perfect for ice cream, too! 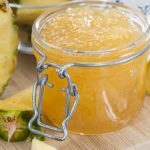 Pineapple jam is one of those things that my family loves but I forget to make it sometimes. However, when I do make a batch, it’s usually gone within a few days. We love it for breakfast or on ice cream, or for pineapple shortcake. The possibilities are pretty much as endless as it is delicious! Although jam making seems a little scary sometimes, this one is SO simple! It’s refrigerator jam that we eat immediately (well, after it’s cooled a bit), so I don’t go through the canning process. See – not so scary after all! And bonus…. it’s literally only 2 ingredients that you probably already have in your pantry! In a small sauce pan, add in both the sugar and the pineapple, stir together until sugar is incorporated. Over medium heat, bring to a slight boil. Turn your eye down to low, then simmer for 30 minutes or until jam is thick and gooey. It might appear to be still too thin, but test some on a spoon and let it cool for a minute or so and it will thicken up beautifully. Want Pineapple Upside Cake Style Jam? Use brown sugar instead of white granulated sugar and cook the same. It deepens the flavor and makes it even yummier! 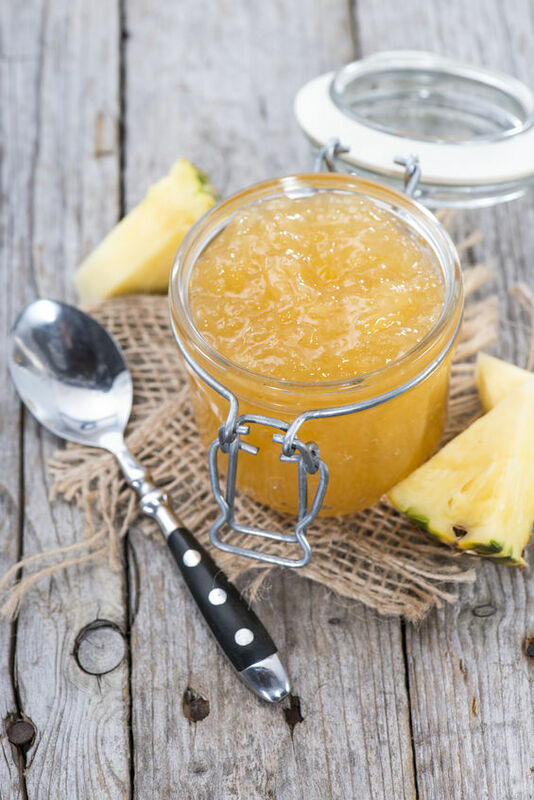 WANT PINEAPPLE UPSIDE CAKE STYLE JAM? : Use brown sugar instead of white granulated sugar and cook the same. It deepens the flavor and makes it even yummier! 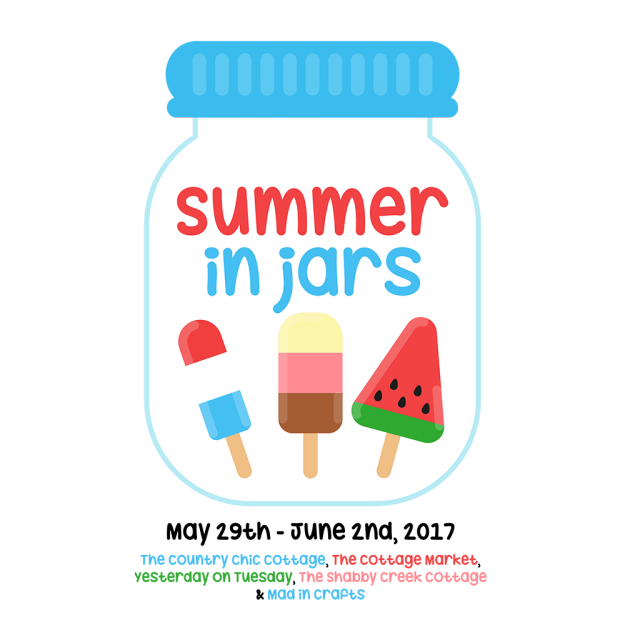 Want more ideas in jars? See my friends who are playing along! This sounds sooo good! I love pineapple! Thank you! Can this recipe work for other fruits? Thanks Sheila! Sure you can use whatever you like, we just love pineapple! Do I drain the pineapples or use the juice?